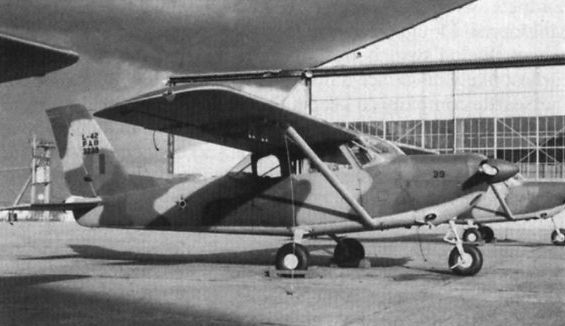 AT-26 Xavantes when in service with the 3°.EMRA. 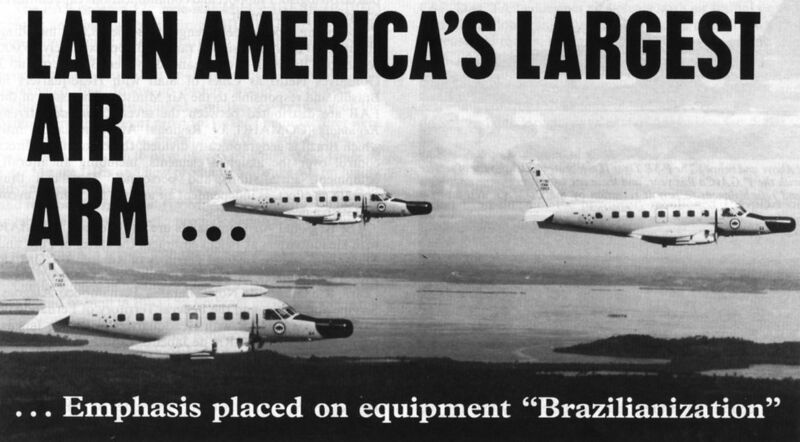 This unit was disbanded several years ago and its Xavantes reassigned to replace the Cessna T-37Cs. 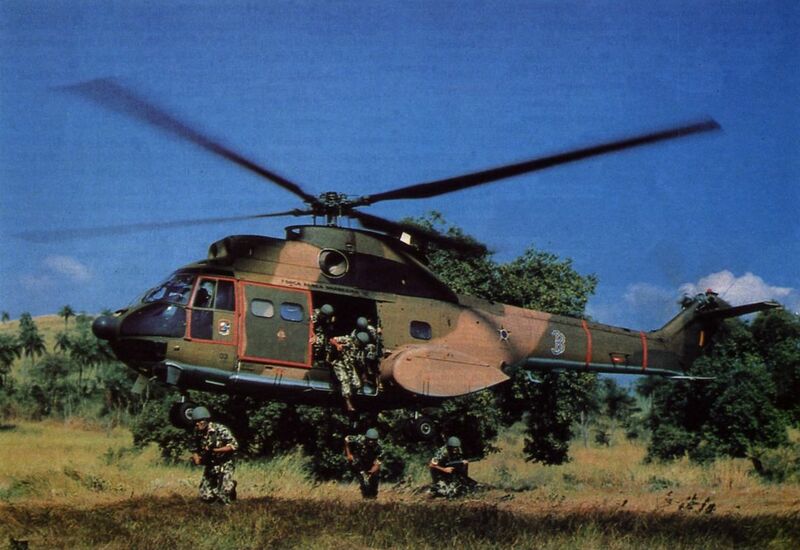 One of the half-dozen CH-33 (SA 330L) helicopters operated by the 3°./8°.GAv Esquadrao "Puma" which are operated from BA Campo dos Afonsos primarily for troop transport and support missions. 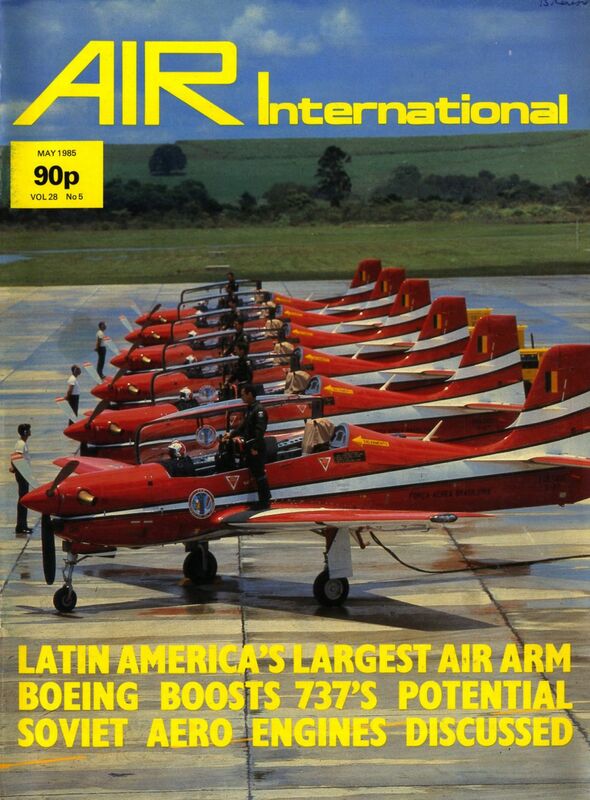 Embraer T-27 Tucano trainer in service with the Esquadrilha da Fumaga, the aerobatic demonstration team of the Forca Aerea Brasileira. 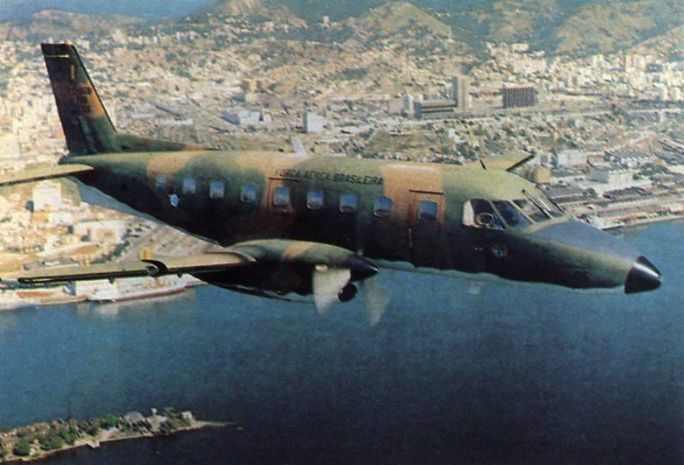 The C-95B (EMB-110P1K) utility transport, of which 31 were procured by the Forca Aerea, is one of a number of Bandeirante versions currently operated by the COMTA. 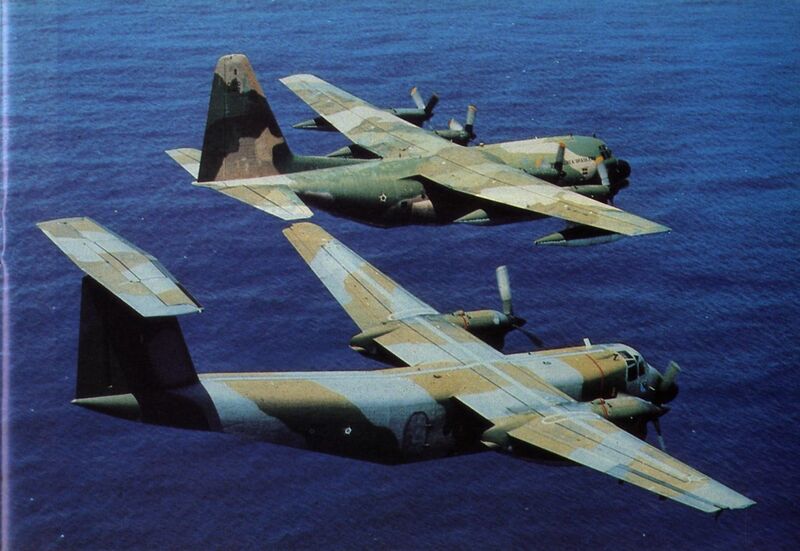 The R-95 reconnaissance version of the Bandeirante is operated by the 1°./6°.GAv at BA Recife alongside a trio of RC-130E Hercules as a component of the COMCOS. 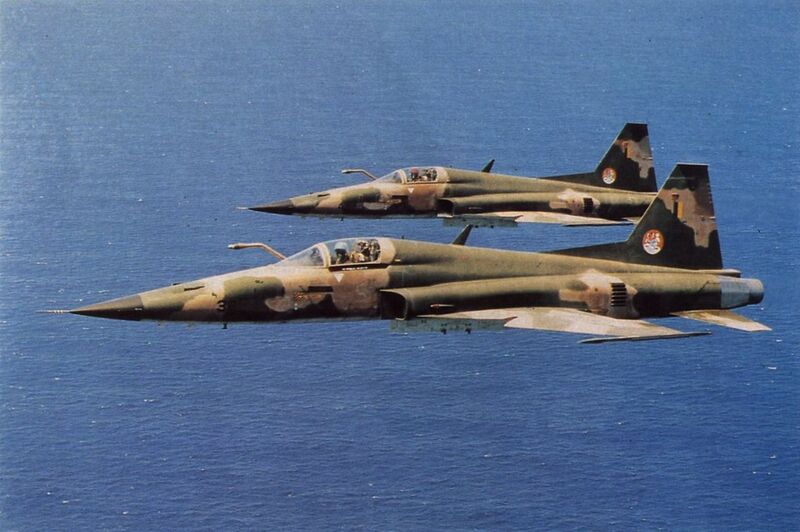 An F-5E Tiger II of the 2./T.GAvCa Esquadrao “Pifpaf" which operates from BA Santa Cruz, south-west of Rio de Janeiro. The F-5E Tiger II celebrates its tenth year of service with the 1°.GAvCa this year, and these are to undergo some upgrading and refurbishment to permit retention by the COMAT well into the 'nineties.